Seeking Applicants for Best Student Summer Job Ever! Awesome opportunity for those who love animals and spending time in the outdoors and want to have a lot of fun while making a positive difference for wildlife and the natural environment. The Sunshine Coast Wildlife Project, in partnership with the British Columbia Conservation Foundation, is seeking to hire up to four university-level summer students in 2018. 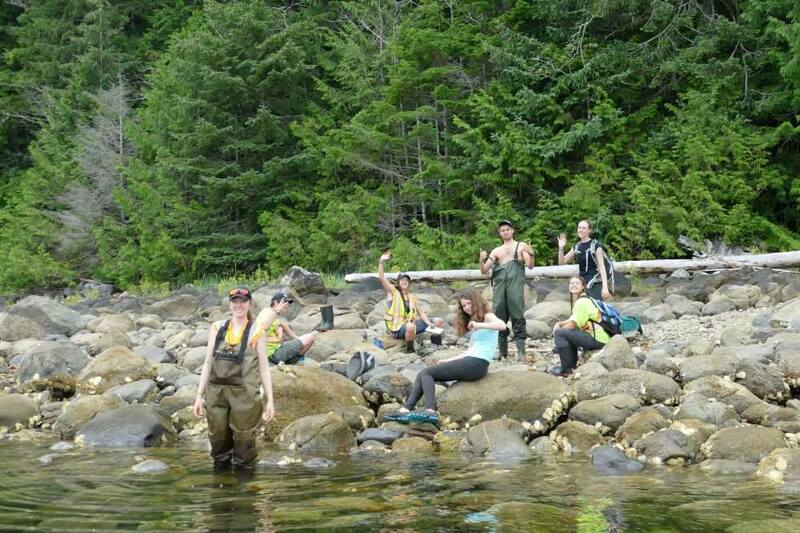 Job Description: The students will assist with wildlife research and habitat stewardship activities on the Sunshine Coast. They will participate in field surveys of wildlife to characterize species presence and distribution, identify critical sites for wildlife, and inform conservation of species at risk on the Sunshine Coast. The students will assist in some of the following project activities: amphibian terrestrial and aquatic surveys; turtle nesting and live trapping surveys; bat mist netting, acoustic surveys and roost counts; owl and goshawk call-playback surveys and nest searches; swallow nest monitoring; and habitat assessment and mapping. In addition, the students will also participate in habitat enhancement activities such as shoreline naturalization, wetland restoration, and installation of wildlife nest boxes. Finally, the students will help with outreach to Sunshine Coast residents to encourage sound community stewardship of wildlife and their habitats through such activities as workshops, children’s programs, outreach tables, site visits, and development of habitat enhancement plans. Duration of Employment: May 1– August 3, 2018 (14 weeks). Salary: $17/hour + benefits, 40 hours per week. Qualifications: We are seeking up to four highly-motivated university student pursuing post-secondary studies, including undergraduate or graduate students, in Biology, Ecology, Zoology, Forestry, Environmental Sciences, Resource Management, or related fields. Candidates must have driver’s licenses and their own vehicle, be physically fit, able to work independently, available to work some weekends and nights and in all weather conditions, and extremely comfortable working in the outdoors. Previous experience conducting field surveys of wildlife preferred. Previous experience with habitat restoration or enhancement projects preferred. Knowledge of the flora and fauna of coastal BC preferred. Previous experience working with the public a plus. Previous experience with data management and/or GIS mapping a plus.